The American Motorcyclist Association inducted five new members to its Hall of Fame while also honoring two racing legends and existing members of the Hall during the 2011 AMA Legends & Champions Weekend. A sold out crowd at the Nov. 18 induction ceremony at the Red Rock Casino, Resort and Spa in Las Vegas saw Phil Schilling, Stu Peters, Fred Fox, Norbert Schickel and Doug Polen get enshrined into the Hall of Fame for their contributions to motorcycling. Phil Schilling: race tuner and longtime managing editor of “Cycle Magazine”. 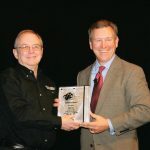 “Thank you to the American Motorcyclist Association for this tremendous honor and to all those who nominated me, wrote letters on my behalf, and voted for me,” said Schilling in a statement read by Cook Neilson, former associate editor of “Cycle Magazine”. “I am humbled and proud beyond words to be in the company of so many of motorcycling’s great talents and industry leaders and my fellow Hall of Fame classmates. Stu Peters: Founder of Continental Motosport Club and motocross race promotor since 1968. Fred Fox: Founder of Parts Unlimited and racing sponsor. 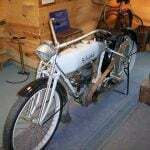 Norbert Schickel: Earl American motorcycle builder and founder of Schickel Motor. 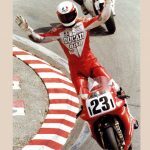 Doug Polen: AMA Superbike, World Superbike and World Endurance Champion. Also honored during the ceremony were 1999 inductee Roger DeCoster and 1998 inductee Kenny Roberts. 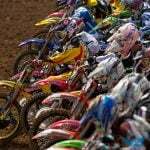 The two former world champions were named the 2011 Motorcycle Hall of Fame Legends.